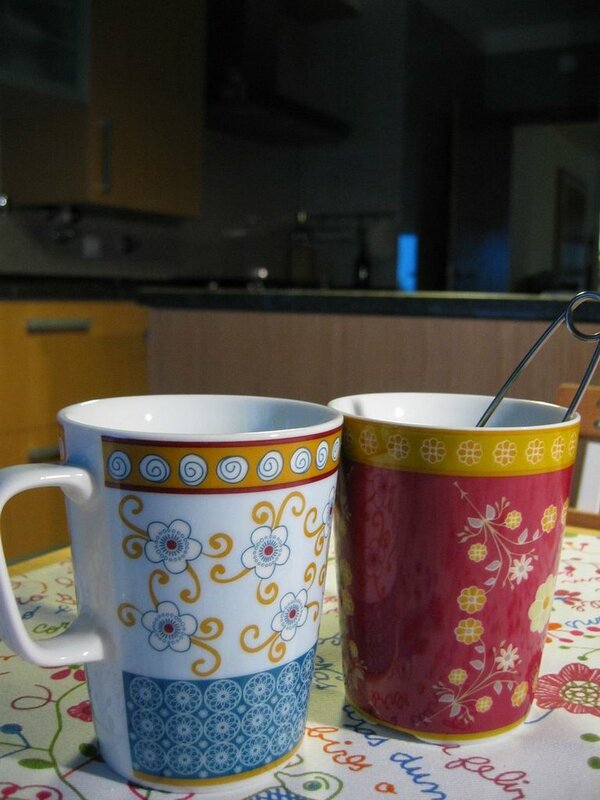 So yesterday I felt I deserved a small shopping treat and picked up these gorgeous mugs at IKEA. Aren't they lovely ? Not that I needed more mugs, I've discovered that I have enough to fill two kitchen shelves already, but these were just begging to come home with me. How about pictures from the office and the studio? Glad the move went well! Whenever I go to Ikea I always seem to buy glasses, thinking that I 'need' them. Last time I did this, I got home and opened the cupboard to find two unopened boxes of glasses from my last trip to Ikea...I wonder if I'll learn from this and resist the urge next time? 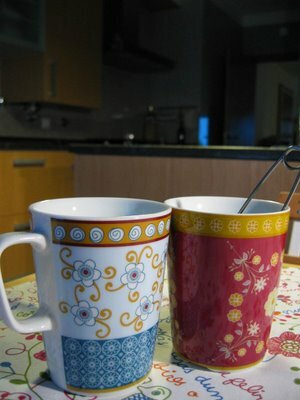 I successfully resisted the urge to buy those very mugs when I first saw them. Now (unfortunately or fortunately, you decide) they appear to have vanished from my Ikea store. Sad but true. Virtue doesn't always pay off. Congratualions on your completed move. 113 boxes is impressive. Glad they all arrive in one piece. Congrats on finishing your move and getting unpacked so quickly! I definitely think you deserve those beautiful mugs after all the hard work! My wish is that you'll be incredible happy in your new home! I am glad that your moving day went well. I wouldnt like to unpack 113 boxes either, but at least you can now settle in, and I love your new cups, so nice and pretty. take a break and hope all goes well.